The Goon Movie — Let’s Kickstart this Sucker! An image that represents your project: Kickstarter requires an image in a 4:3 aspect ratio, meaning that the image is slightly more horizontal than vertical. Also, be sure that the image has a high enough resolution to look good on the World Wide Web — ideally 200 dpi or higher to avoid pixilation. Choose an image that summarizes your project in a nutshell, like a logo, a photo of your design prototype or book cover, a screen shot from a video (if you’re already underway on production), still photos from a studio shoot, and so on. Ideally you won’t use just a photo of yourself, but instead something that shows what the project is about. Your project image needs to grab a viewer’s attention and visually illustrate the nature of your project quickly. 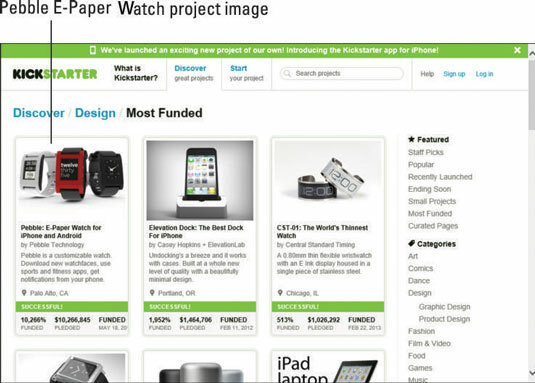 The image is featured on the Kickstarter main page if someone is searching in your category or geographic region. 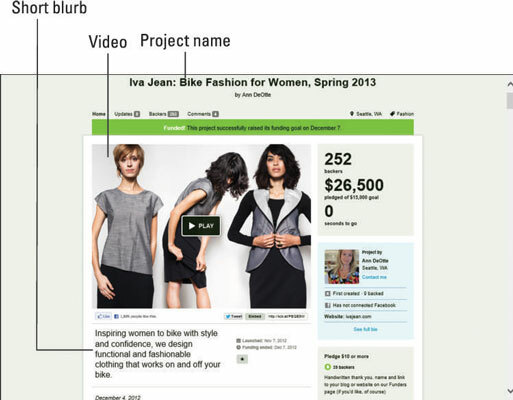 A short blurb that describes your project: Think Twitter; think elevator pitch. The limit for your short description is 135 characters (not 135 words). The short description will appear just below your photo on your main project page; it should be almost as short as a photo caption. It will also appear with your project image on any category or search pages, as mentioned earlier. A short video that grabs attention: A key element of every Kickstarter project is a short video, ideally two minutes or less. Duration for your project campaign: Kickstarter recommends a campaign timeframe of 30 days or less, but doesn’t insist upon it. The campaign duration is your call. In fact, several campaigns run up to 60 days. The advantage of a shorter window is a sense of urgency to encourage backers to donate; however, it gives you less time to promote your project. A project funding goal: Before you go online to set up a project, think through your funding needs and have an amount in mind. Setting the funding goal is a big part of any program’s success. A category: Every Kickstarter project needs to fit into one of the site’s defined categories. Your bio: You will be asked to write a short description about yourself for your project. If you have an existing bio/CV/resume completed, locate it and review it before you go any further; think about what elements you want to highlight in your personal Kickstarter bio. Be sure to include any experience or accomplishments you have that demonstrate your ability to meet the goals you’ve outlined in your campaign. A full description of your project: Beyond the short blurb, you will be writing a detailed description of your campaign, goals, risks, and challenges. Rewards: Every Kickstarter campaign has backer rewards at several funding levels. Even if you’re unsure about your own potential rewards at this point, take a quick browse through other campaigns on the site to get an idea of the types of reward levels out there.